Choosing seasonal fruits is a great way to ensure you're getting the freshest produce available, and also keeps you from getting stuck in a rut with your smoothies. In the winter, that means using kiwifruit, pears, passion fruit and plenty of citrus fruits such as grapefruit and oranges. But if you're looking to save any of these freshly harvested, in-season foods for future smoothies in your blender, you may want to freeze them. Kiwifruit, often called kiwis, are a fuzzy fruit with a tropical taste that can add a sweetness to any green smoothie without subtracting from its color. 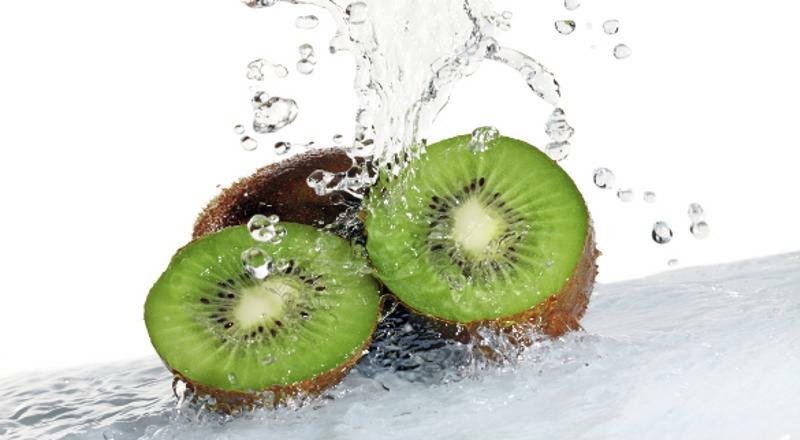 Kiwifruit is also low in fat and rich in vitamin C, vitamin K, vitamin E and potassium. While these fruits can last weeks when refrigerated, you'll want to freeze them to use them throughout the summer in your blended drinks. Peel a ripe kiwifruit and place it in your freezer. You can slice it beforehand if you prefer for quicker freezing and thawing. Use your FoodSaver® vacuum sealers to keep your frozen kiwi fresh and freezer burn-free. Months later, when you have a hankering for a kiwifruit smoothie, just thaw it in warm water and enjoy. Keep your winter kiwifruit for months longer by freezing it. Pears are also a winter fruit and can be a sweet addition to your smoothies. Pears are rich in fiber and vitamin C, but don't have any fat, sodium or cholesterol to worry about. Like kiwifruit, you'll want to peel and cut before freezing. You can dry pack your pears in a vacuum sealed bag for a simple way to keep them fresh tasting for later. However, when peeled, the pears will brown. Some people don't like the browning and opt to pack pears in syrup or sugar. 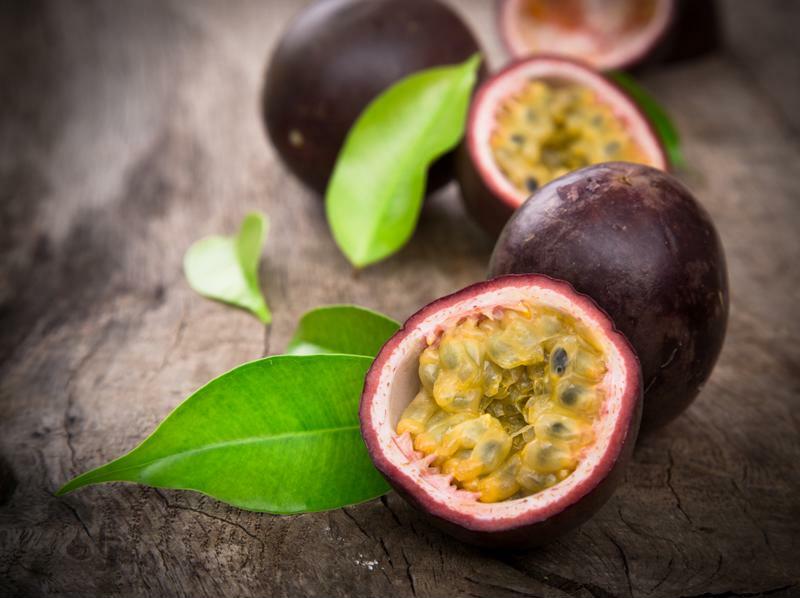 With fiber, vitamin C and no fat, passion fruit is like many seasonal fruits. But, it's the unique taste of passion fruit that attracts so many smoothie lovers to this South American treat. Luckily, this fruit is also easy to freeze so you can enjoy whenever you want. Cut the fruit in half and scoop into a bowl, like you were preparing to eat it. Then pour your goopy mix into ice cube trays and freeze. Once your passion fruit is in frozen blocks, vacuum seal them and stow in your freezer until you're ready for a truly tropical smoothie. Freeze passion fruit for future smoothies. Oranges, clementines, tangerines, grapefruit and many other similar citrus fruits are in season each winter. Although your grocery store may have these American favorites all year long, try freezing these local varieties for a summer or spring treat. Many people opt to freeze oranges with syrup, like pears, because they lose texture and color in other freezing processes - but that doesn't matter for smoothies. You can cut in sections or wedges and dry freeze then vacuum pack. Or, you can even freeze them whole in their natural packaging. Often eaten dried, date plums are an unusual and bitter fruit that's ready for harvest in the winter. Since they have fiber, minerals and vitamins A and C, you may want to consider adding some fresh to your smoothies or dried to your trail mix. Wash, dry and cut you plums into wedges before freezing. Then vacuum seal to prevent deterioration and enjoy later.